A society in which artificial intelligence benefits people and society: To those ends, Audi is involved in AI4People, the first global forum for an ethical approach to AI in Europe. At the “Towards a Good AI Society Summit” at the European Parliament in Brussels, the forum presented a 20-point plan for a responsible AI society. One of the focuses was on coordinating European AI research and establishing issues of the responsible use of new technologies more firmly in the minds of developers, legislators and the general public. “We need a European approach to artificial intelligence that combines innovation with our values,” stated Dr. Roland Villinger, Chief Strategy Officer (CSO) and Chief Digital Officer (CDO) at AUDI AG, in Brussels. Audi is contributing its expertise from the beyond initiative to AI4People. In the context of beyond, the automobile company has set up a network in the past three years with AI experts from startups and science – including Luciano Floridi, Director of the Digital Ethics Lab at Oxford University. “It’s not merely about the question of what is legally acceptable, but really about what is ethically preferable,” said Floridi, Chairman of the Scientific Committee of AI4People. He therefore founded AI4People together with the Atomium-European Institute for Science, Media and Democracy. The forum brings together leading experts from companies, universities, the European Parliament, the European Commission and civil society. The next step is to set up a body to advise political decision-makers on the use of AI. Audi’s beyond initiative has been driving the debate on the responsible use of AI, autonomous driving and the future of the world of work since 2015. 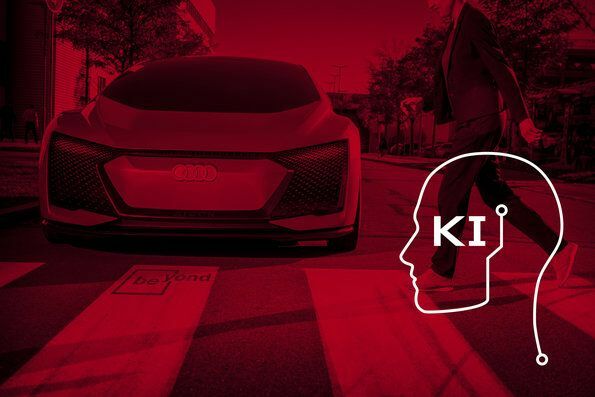 “Within the framework of AI4People and together with other players in society, we want to contribute to making sure that artificial intelligence benefits both society and us as individuals,” said Audi CDO Villinger.